The ayurvedic term rasayana has numerous meanings. Collectively, they are all focus around rejuvenation. Anti-aging as been very relevant in the Western world for many years now. People have gone though absurd and alarming proportions to fight the signs of aging, and becoming unrecognizable in the process i.e. plastic surgery. Apart from reconstructive surgery and chemical remedies, a natural and more healthy ayurvedic approach to anti-aging has been practiced for numerous years. Rasayana means "achieving the optimal state of tissue". 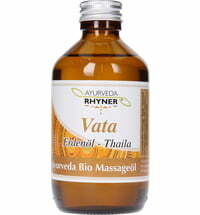 In Ayurveda the term also refers to as elixier of life and rejuvenation. strengthen digestive fire and metabolism. keep the three doshas in balance. eliminate mental and physical fatigue as well as weakness. a general feeling of weakness. stress and its negative effects. The application is often done by taking specific remedies or undergoing treatments. Unlike panchakarma treatments, it is not only about detoxification. Rasayana treatments go deeper and are more comprehensive because they also incorporate rejuvenating the body and mind. Rasa stands for life and love. Rasayana therefore refers to new life, new love and new joy. Rasayana can be performed by each individual as a kind of personal revitalization measure. Sit down and think about how best to do good by your body and mind and plan a self-compiled treatment. Consider all kinds of "exercises" for body and mind. For example: "For the next three months I will practice consuming only healthy food and avoid any excessive amounts of fat, salt and sugar, focusing on more vegetables and fruits. I want to be more kind and friendly to my fellow men, and do more of what brings me joy." Avoiding negative or harmful effects are crucial since they overcloud all the positive ones. irregular meal times. 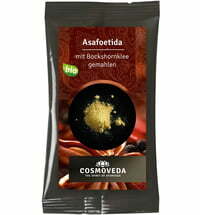 It is recommended to aim for three meals a day, whereby the main meal should be at midday.